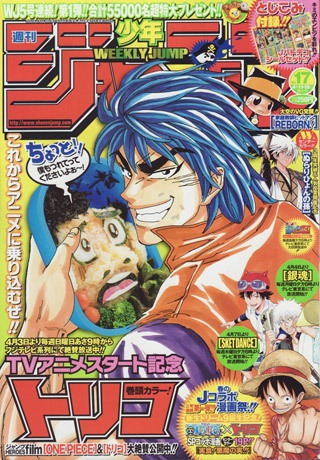 The premise for Toriko sounds like a bizarre combination of Pokemon and Iron Chef. 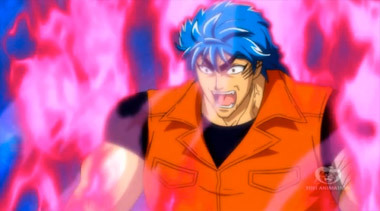 Seriously, this is not a show for vegetarians -- gotta catch 'em all .... and EAT THEM! I can seriously imagine this show running on the Food Network, or perhaps the travel channel, where "bizarre foods" is a popular tv show -- but these may be the weirdest, most bizarre foods of all -- Welcome to the Gourmet Age, a time when the world is full of deliciously deadly ingredients that the wealthiest appetites in existence can't wait to devour. 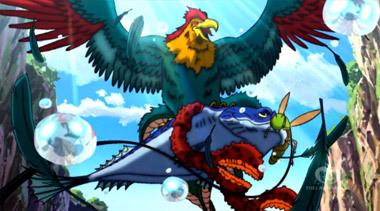 But to put these items on a plate, Torkio must travel the globe in search of these rare items, and in most cases, kill them dead, so they can be cooked to perfection. 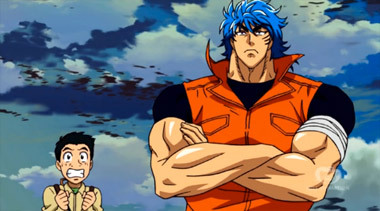 Toriko himself looks kinda' like a cross between Goku from Dragonballz, and Kenshiro from Hokoto No Ken (kickin' it old skool! 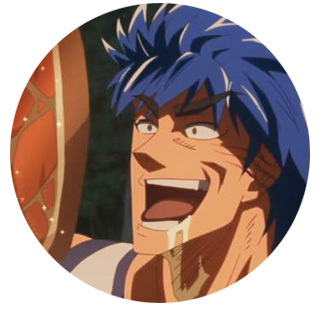 ), except he's essentially a big game hunter who stalks only the most delicious critters. 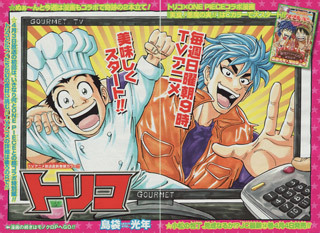 With cowardly but promising young chef Komatsu in tow, the two hope to increase their fame and fortune hunting down even more elusive (and consequentially more tasty, and more dangerous) beasties to serve to the rich and powerful, who hunger for something unique. The animals in question are as much a mythical mixup as their pokemon brethren... 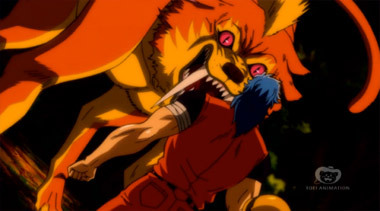 But instead of befriending these critters and then capturing them to train them to fight... you eat 'em instead. Mmmmm. Tastes like Pikachu! 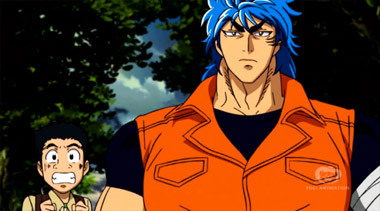 And remember, Toriko's no pansy, he doesn't sit out in a field with a gun to get a duck. No, he battles a gator the size of a house with his bare fists. 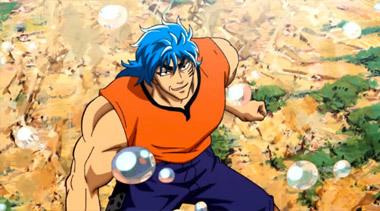 And going back to First of the North Star, he's got some special moves (and they are hilarious!). If you defeat them, you gotta eat 'em! 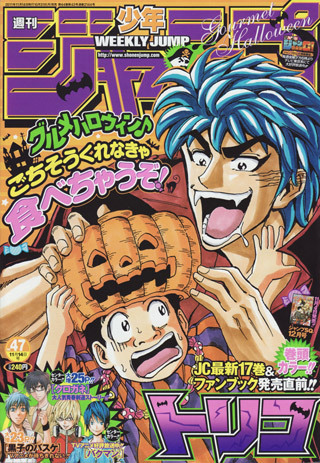 It's silly, it's weird, and ultimately, pretty damn funny. 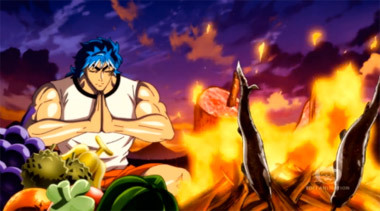 And, well if you like... meat or food in general, this is definitely a show that may make you put on a few pounds, since you can't watch this on a empty stomach -- there's just too much delicious food talk. I think I managed to put on a few pounds just listening to them discuss flavor. 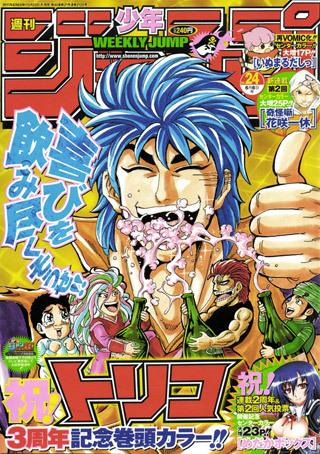 Below: Manga illustrations for Toriko.